Ahmadu Bello University (ABU) Zaria Post-Unified Tertiary Matriculation Examination (UTME) Admission Screening Results Successfully Uploaded Online for 2018/2019 Academic Session. This to inform all candidates who participated in the Ahmadu Bello University (ABU) Post-Unified Tertiary Matriculation Examination (UTME) screening exercise that their results has been released for 2018/2019 academic session. 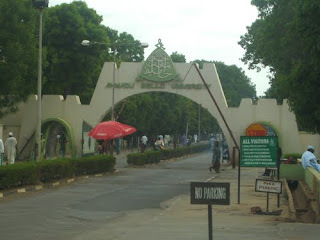 Kindly log on to ABU Post UTME portal via http://putme.abu.edu.ng/. Note: Please Ignore text message requesting you to call ABU Admission Office for help on admission.